More patients survived cardiac arrest when treated in hospitals that generally perform longer resuscitation efforts. More study is needed to know whether improved survival in other patients is due to lengthier resuscitation efforts per se, or other factors. Currently, since not all patients can be successfully resuscitated with good outcomes, the duration of resuscitation efforts must be based on the clinical judgment of those caring for each individual patient, aimed at providing the best possible outcome. More patients are revived and survive cardiac arrest when treated in hospitals that generally perform resuscitation efforts for a longer amount of time, according to a new study published in Lancet. Researchers studied records of 64,339 patients suffering an in-hospital cardiac arrest at 435 hospitals taking part in the American Heart Association's Get With The Guidelines®-Resuscitation program. As with earlier studies, the investigators found that most patients who were successfully resuscitated responded early on during the arrest, but they also noted that some survivors appear to require efforts that take more time. The overall median resuscitation time was 12 minutes for patients who were revived, and 20 minutes in those who died. The study also measured each hospital's tendency toward longer resuscitation efforts overall by assessing the length of their attempts in non-survivors, correlating this with the likelihood of survival in the overall group of patients. They found that patients at hospitals with the longest median duration of 25 minutes for resuscitation efforts had a 12 percent higher likelihood of being revived compared with patients at hospitals with the shortest median time of 16 minutes. Patients who survived after longer efforts did not appear to have substantially worse neurological functioning compared to those who responded early. "The duration of resuscitation attempts for patients with cardiac arrest varies widely across hospitals," said Zachary Goldberger, M.D., lead author of the study and an academic cardiologist at Harborview Medical Center/University of Washington School of Medicine in Seattle. "Unfortunately, there's been little evidence to guide clinicians on when it may be best to terminate these efforts and this is one of the most challenging decisions we face when caring for these patients." It's estimated that between one and five of every 1,000 patients hospitalized in Western countries will suffer a cardiac arrest, with fewer than 20 percent surviving to discharge. Physicians are often reluctant to continue resuscitation attempts given the often poor outcomes for such patients, said study authors. 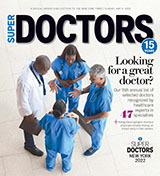 "Whether the improved survival rate we found is due to the longer attempts or more standardized approaches to resuscitation that lead to longer attempts at these hospitals is unclear," said Brahmajee Nallamothu, M.D., senior author of the study, staff cardiologist at the Ann Arbor VA Medical Center and associate professor in the Department of Internal Medicine at the University of Michigan Health System in Ann Arbor. "The optimal duration of resuscitation efforts for any individual patient remains a bedside decision that requires careful clinical judgment. But our findings suggest hospitals may need to consider whether efforts to systematically increase their duration of resuscitation attempts through protocols and standardized assessments of patients during the arrest may improve survival in these high-risk patients." The American Heart Association Emergency Cardiovascular Care guidelines do not currently recommend a specific duration for resuscitation attempts because there is not yet sufficient scientific evidence to guide the ability to tell when further efforts would be futile for an individual patient. However, the kind of information gathered in the association's quality improvement programs like Get With The Guidelines- Resuscitation, used in this study, helps ask the critical questions that can improve care. "New tools are being developed to help us better recognize which patients are or are not responding to resuscitation attempts," said Michael Sayre, immediate past chair of the American Heart Association's Emergency Cardiovascular Care Committee. "We are learning from studies like this one to help us improve our guidelines going forward. But for the present, the clinical decision for each patient must be determined on an individual basis by the healthcare providers caring for that person." Co-authors are Paul S. Chan, M.D. ; Robert A. Berg, M.D. ; Steven L. Kronick, M.D. ; Colin R. Cooke, M.D. ; Mingrui Lu, M.P.H. ; Mousumi Banerjee, Ph.D.; Rodney A. Hayward, M.D. ; and Harlan M. Krumholz, M.D. Author disclosures are on the manuscript. The study was funded by the American Heart Association.